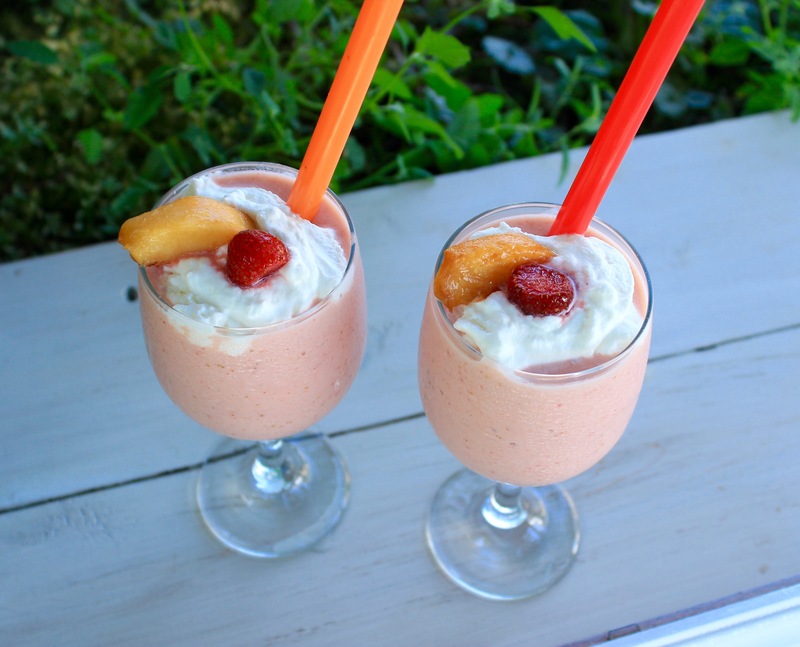 This blend of strawberries and peaches is so refreshing! 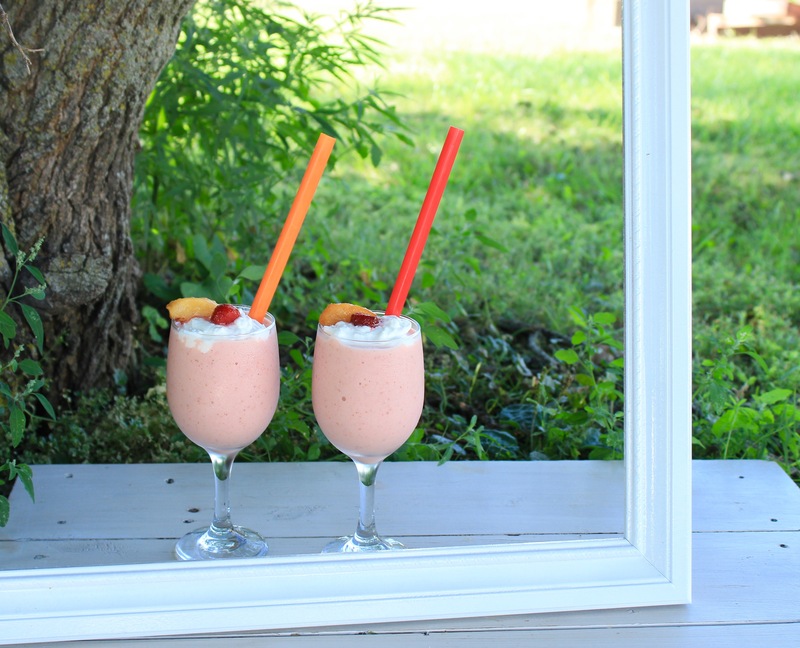 Perfect for these warm summer days. He is the main controls guy. When it comes to knobs and buttons he is in his element! 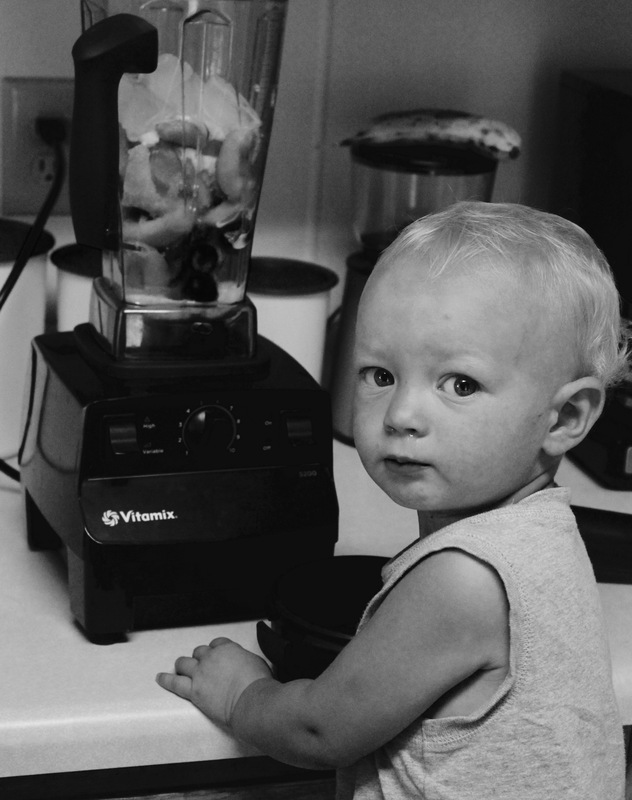 Combine all ingredients in blender and blend until smooth! 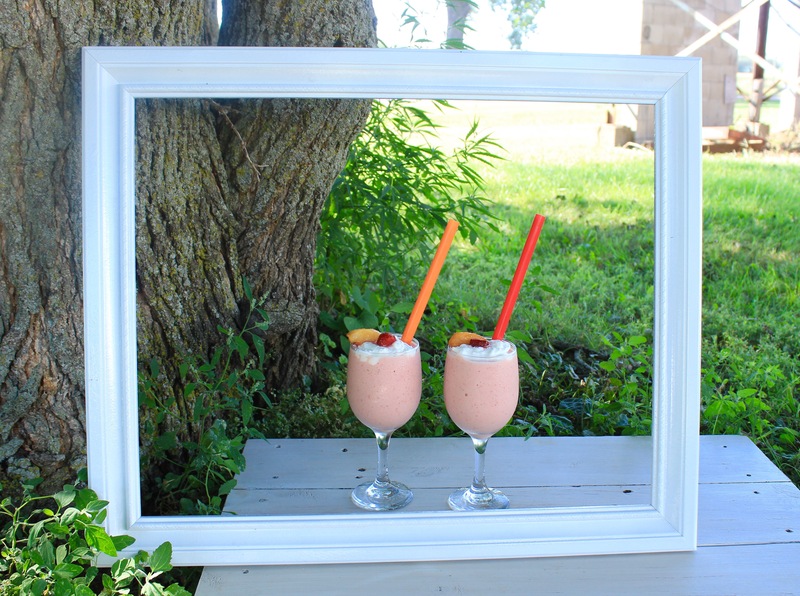 Serve in tall glasses and garnish with whipped cream if desired.